Situated at Koromiko, midway between Picton and Blenheim, Marlborough New Zealand. Our goal is to treat your pets like our pets. 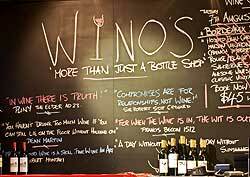 As the name suggests, has a strong focus on quality wines, but this does not exclude other beverages from featuring in the store. With the emphasis on quality retained across the ranges, Wino's is proud to stock a variety of beer, from the easily recognizable national brands to the boutique brands brewed around Marlborough and throughout New Zealand. Wino's also has beer taps instore where you can fill your own flagons with beer from Moa, Renaissance and 8Wired. Prisma Print Limited is a Marlborough, New Zealand based company specialising in short-run book printing and publication, newsletters, company reports, and much more. New Zealand Gifts Mall including 3 florists based in Auckland, Wellington and Christchurch, delivering flowers & gifts all around New Zealand, 5 gift basket stores, a chocolatier, gifts & souvenirs, carvings, arts, toys, health products & much more. Selmes Garden Trust is the largest retail nursery in Marlborough, which means we can supply you with a huge range of plants and gardening supplies at competitive prices. Our garden centre has everything you need - from fruit trees to flaxes, camellias to coriander, root vegetables to rhododendrons – and everything in between! Thomas’s is a modern provincial city department store retailing Women’s Fashion including shoes, accessories and cosmetics, Women’s and Men’s Lifestyle Clothes, Men’s Clothing, Homewares and JETZ Urban Streetwear Store. Mayflower Studio Florist. Fast delivery of flowers, gift baskets and balloons. 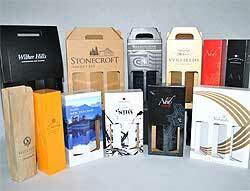 Shop online or visit our Blenheim store. Flower deliveries throughout Marlborough, Nelson and Kaikoura. 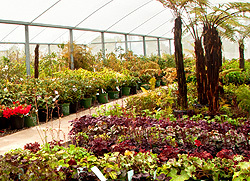 Based in Blenheim, Morgans Road Nursery Ltd grows and supplies a wide range of forestry/shelter species, New Zealand natives and ornamental plants to public and trade customers throughout New Zealand. Award winning Marlborough Day Spa is your oasis from the outside world. A place where silence and tranquillity reign and your health, beauty and comfort are our only concerns. Our lighting is muted, tranquil soft music playing, our voices soft and resonant and the entire atmosphere was designed to make you feel blanketed from the world at large, far removed from your worries and concerns. The Lounge Suite Company manufactures high quality affordable lounge furniture that it sells directly to the public from its showroom in High Street Blenheim. With an extensive collection of original furniture designed for the kiwi home and a custom design service we can fulfil all of your requirements. Custom Copy Ltd offers a full range of photocopying and associated services. It also specialises in the graphic design and printing of business cards, flyers, brochures and much more as well as taking pride in its fast and professional service.